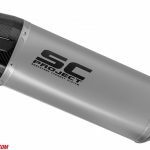 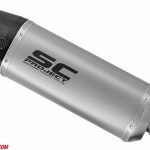 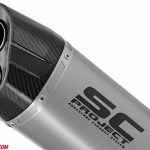 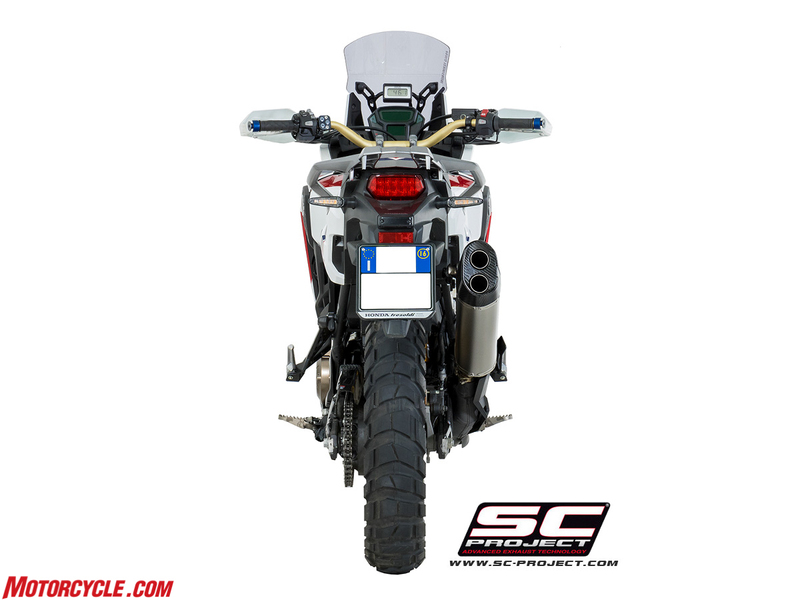 SC Project is taking its racing-developed exhaust tech and applying it to adventure bikes. 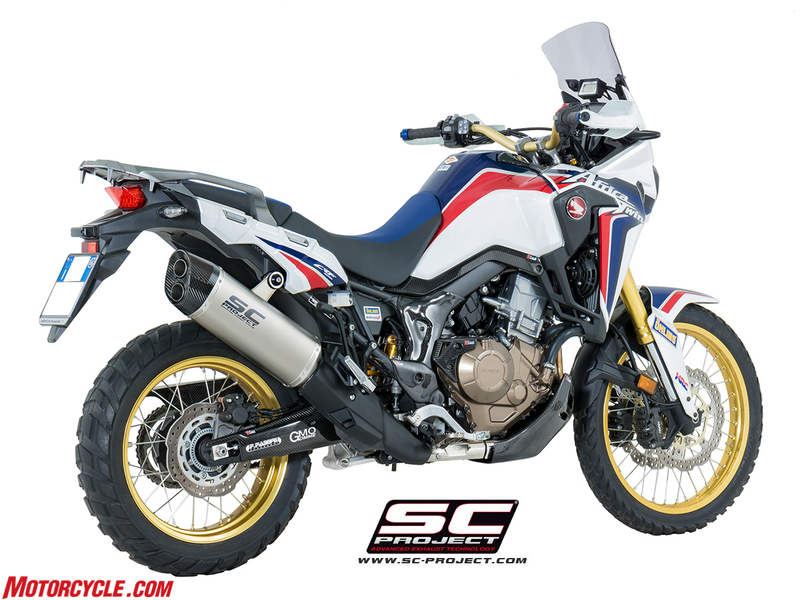 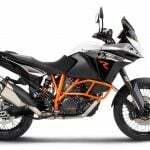 The Adventure muffler was created to satisfy the necessity to take SC-Project technology and competences into the world of maxi street enduro and sport tourer. 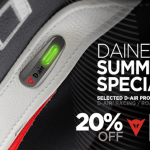 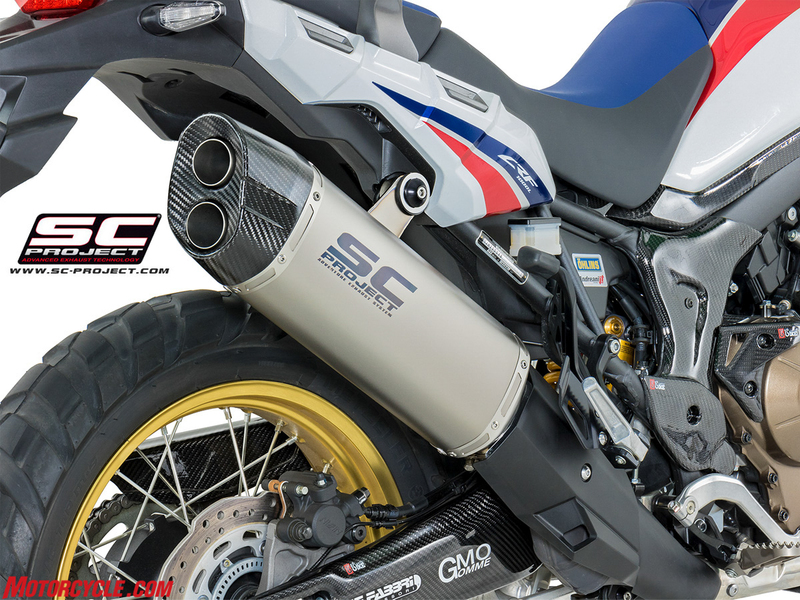 It was thought for customers who are attentive to details such as look and performance; the Adventure muffler was directly realized by SC-Project Research and Development department, which studied an internal system with separated resonance chambers and double perforated pipe to optimize performance both in maximum power and engine torque, to guarantee an unmistakable full-bodied sound, real and proper distinctive sign of SC-Project’s products. 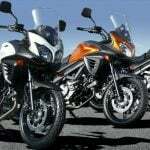 The muffler body is made of titanium and allows a considerable weight saving in favour of a better motorbike driveability, whereas the end cap with a superimposed double exit is made of carbon fiber of the highest quality and gives the muffler an aggressive look with a slimmer and more slender line than the original bulky and heavy mufflers made of steel sheet. 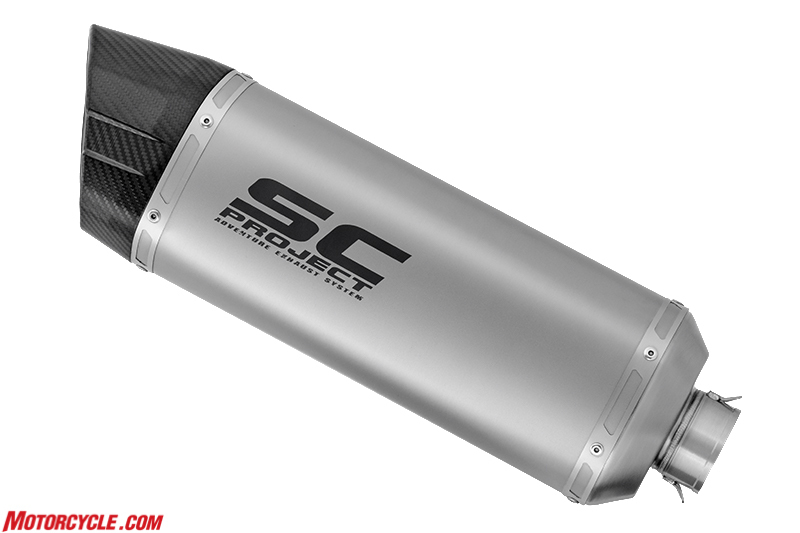 SC-Project logo, together with the name Adventure Exhaust System, is laser branded on the exhaust system body with a “mud” effect to recall the adventure nature of the muffler. 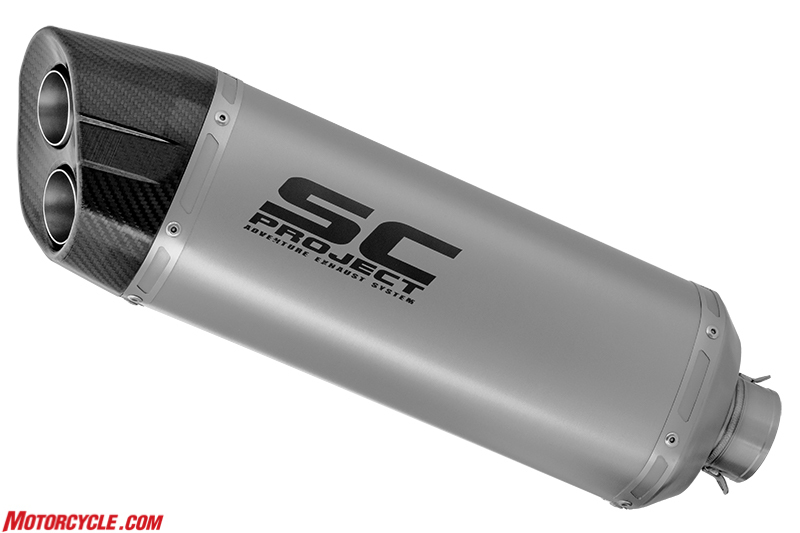 The Adventure muffler, as all SC-Project range, is completely projected, developed and realized in Italy. 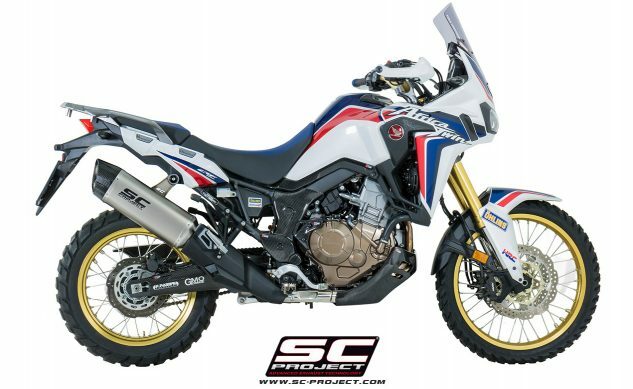 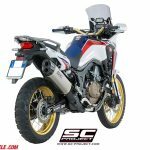 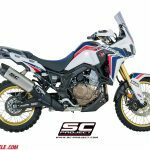 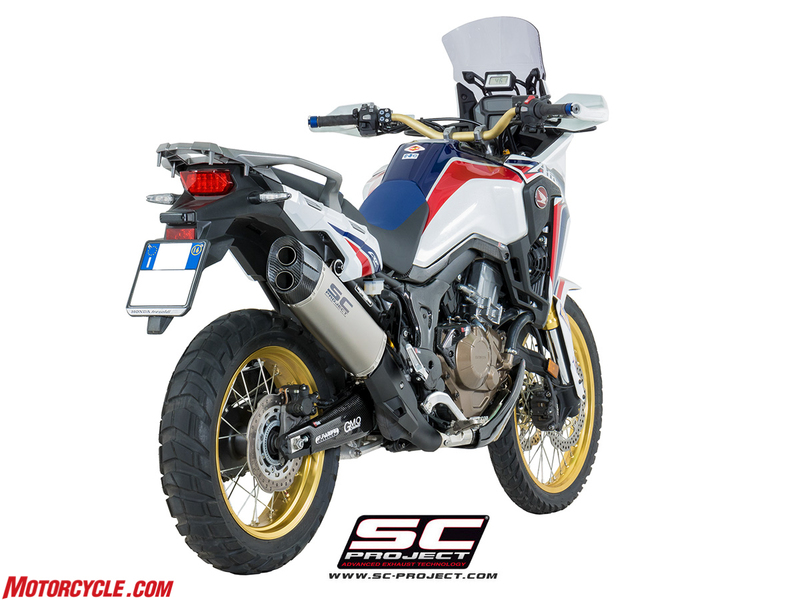 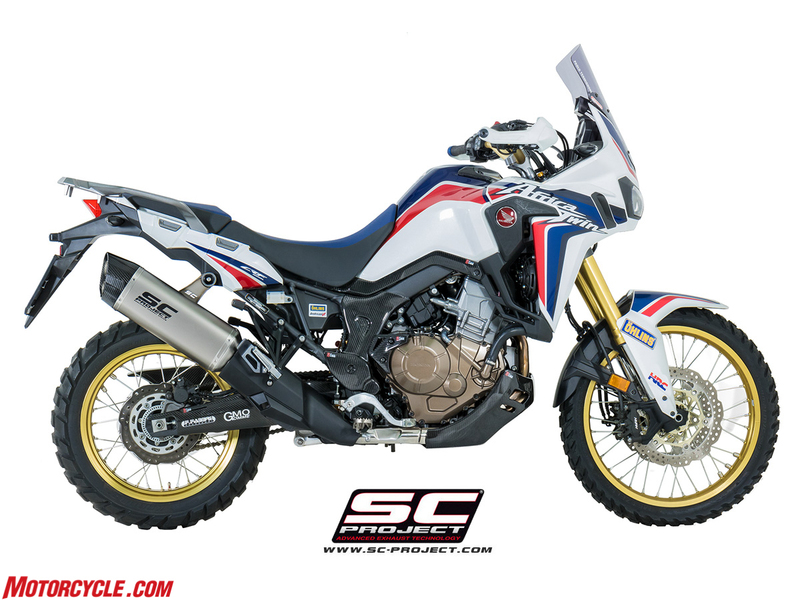 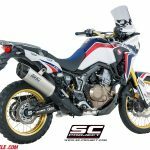 Adventure muffler is now available in street legal version according “EU” regulations for Honda CRF1000L Africa Twin and will be soon available also for Honda Crosstourer, BMW R1200 GS and KTM 1290 Super Adventure.